Facility 492. From the series, Prison Map. Photo: Josh Begley. NEW YORK, February 2 -- The Sheila C. Johnson Design Center’s (SJDC) Anna-Maria and Stephen Kellen Gallery at Parsons School of Design launches its spring exhibition, Prison Obscura, with a public reception on Thursday, February 5, 6:30-8:30 pm. The reception will be preceded by a curator’s tour at 5:45 pm. Such imagery in this exhibition comes from artists Josh Begley, Steve Davis, Alyse Emdur, Robert Gumpert, Paul Rucker, Mark Strandquist, and Kristen S. Wilkins with a mural by members of the Restorative Justice and Mural Arts Programs at the State Correctional Institution in Graterford, PA. The works in Prison Obscura vary from aerial views of prison complexes to intimate portraits of incarcerated individuals. Artist Josh Begley and musician Paul Rucker used imaging technology to depict the sheer size of the prison industrial complex, which houses 2.3 million Americans in more than 6000 prisons, jails and detention facilities at a cost of $70 billion per year; Steve Davis led workshops for incarcerated juvenile in Washington State to reveal their daily lives; Kristen S. Wilkins collaborated with female prisoners on portraits with the aim to compete against the mugshots used for both news and entertainment in mainstream media; Robert Gumpert created a nine-year project pairing portraits and audio recordings of prisoners from San Francisco jails; Mark Strandquist utilized imagery to provide a window into the histories, realities and desires of some incarcerated Americans; and Alyse Emdur illuminated moments of self-representations with collected portraits of prisoners and their families taken in prison visiting rooms as well as her own photographs of murals in situ on visiting room walls. 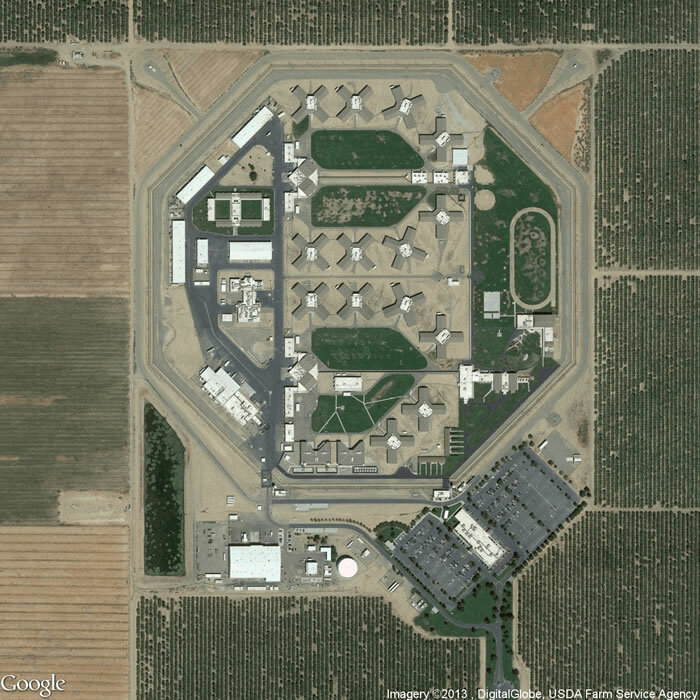 Also, included are images presented as evidence during the landmark Brown v. Plata case, a class action lawsuit that which went all the way to the Supreme Court of the United States where it was ruled that every prisoner in the California State prison system was suffering cruel and unusual punishment due to overcrowded facilities and the failure by the state to provide adequate physical and mental healthcare. Mass incarceration is rooted in and exacerbates myriad issues: egregious sentencing, gutted rehabilitation and education programs, substandard physical and mental health care, aging prisoners, the expanded use of prisons for youth, amplified hardships for women and families and persistent violence. The work of Prison Obscura gives image and voice both to the causes of, and the individuals affected by, these issues. “Prison Obscura visually demonstrates how lives are rendered invisible while also showing us how we might see them again,” Radhika Subramaniam, director and chief curator of the SJDC, said. Prison Obscura is a traveling exhibition made possible with the support of the John B. Hurford ‘60 Center for the Arts and Humanities and Cantor Fitzgerald Gallery at Haverford College, Haverford, PA. For more information on Prison Obscura, visit http://exhibits.haverford.edu/prisonobscura. Wednesday, Feb. 4: Mid-day discussion with curator Pete Brook and Tim Raphael, Director, The Center for Migration and the Global City, Rutgers University-Newark. Co-hosted with the Humanities Action Lab. Friday, Feb. 27, 6 pm: These Images Won’t Tell You What You Want: Collaborative Photography and Social Justice. A talk by Mark Strandquist. Saturday, Feb 28: Windows from Prison workshop led by Mark Strandquist. More information about participation will be available on the website. The Sheila C. Johnson Design Center is an award-winning campus center for Parsons The New School for Design that combines learning and public spaces with exhibition galleries to provide an important new downtown destination for art and design programming. The mission of the Center is to generate an active dialogue on the role of innovative art and design in responding to the contemporary world. Its programming encourages an interdisciplinary examination of possibility and process, linking the university to local and global debates. The center is named in honor of its primary benefactor, New School Trustee and Parsons Board of Governors Member Sheila C. Johnson. The design by Rice+Lipka Architects is the recipient of numerous awards, including an Honor Award from the American Institute of Architects. For more information please visit www.newschool.edu/sjdc. Parsons School of Design is one of the leading institutions for art and design education in the world. Based in New York but active around the world, the school offers undergraduate and graduate programs in the full spectrum of art and design disciplines. Critical thinking and collaboration are at the heart of a Parsons education. Parsons graduates are leaders in their respective fields, with a shared commitment to creatively and critically addressing the complexities of life in the 21st century. For more information, please visit www.newschool.edu/parsons.